Johanna Shelton, Google’s director of public policy, is a little-known figure even in Washington policy circles. 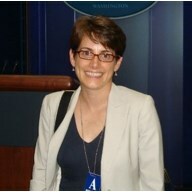 But she emerges from GTP’s data analysis as a key liaison between Google and the Obama White House, participating in the largest number of meetings of any corporate lobbyist employed by the top 50 lobbying spenders in the U.S.
Shelton acts as an unofficial company ambassador to the White House, shepherding top Google executives to meetings with President Obama and his top aides and sitting-in on policy meetings with other White officials on a surprisingly wide variety of topics. 9 meetings with White House chief technology officers, and several other meetings with key officials from Office of Management and Budget, Council of Economic Advisors, and the National Economic Council. Shelton joined Google in June of 2007, having previously served as senior counsel to the House Energy & Commerce Telecommunications Subcommittee and, before that, as legal advisor to FCC Commissioner Jonathan Adelstein. Several key meetings suggest the extent of Google’s policy and political influence with the Obama White House. In addition to the issues listed above, Shelton also participated in several meetings around key moments in the FTC’s antitrust case. Two days later, on June 7, 2012, Shelton and Walker met with Jason Furman, chairman of the Council of Economic Advisors. Shelton’s extraordinary access is testament to the open-door policy enjoyed by Google in the Obama White House. According to data compiled for the GTP, no other company or industry enjoys a comparable level of access. 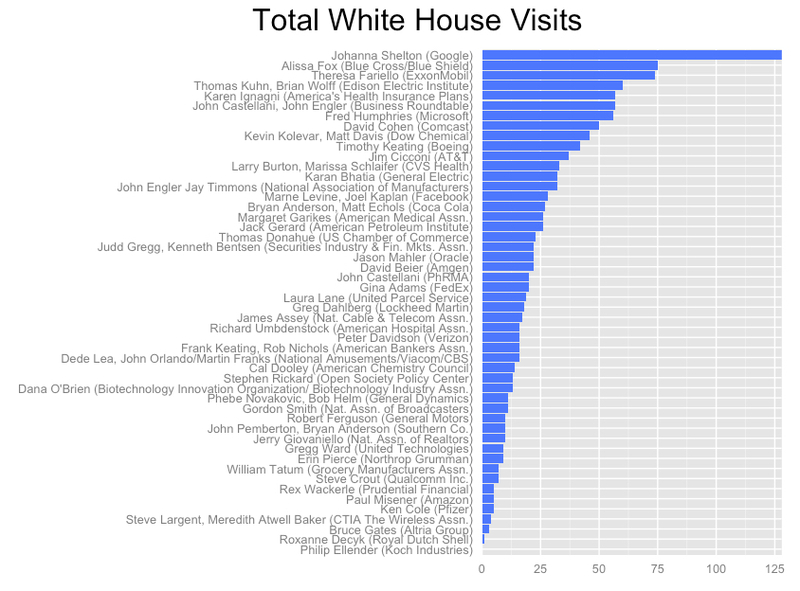 iv Note: this analysis includes large meetings, such as state dinners, White House tours and events open to the public such as the Easter Egg hunt. Those were excluded from the analysis of White House meetings.